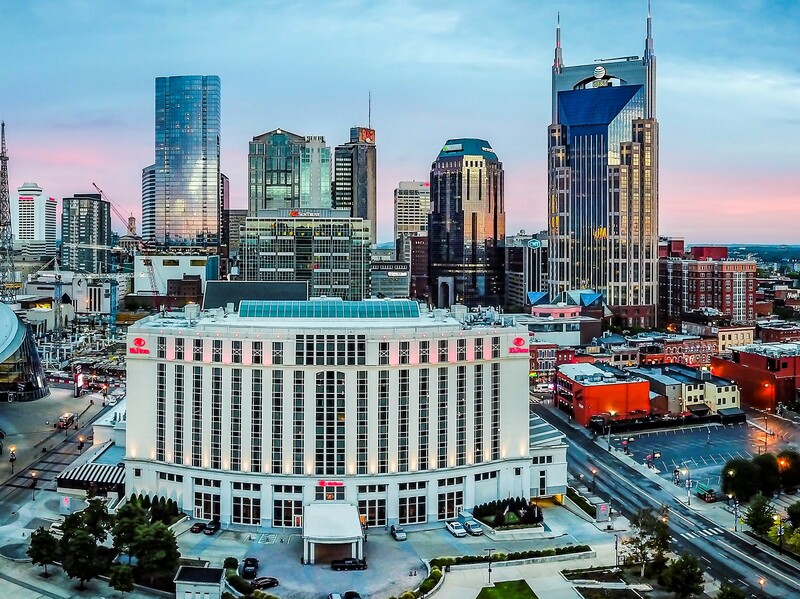 Stay in the heart of ‘Music City’ at Hilton Nashville Downtown. You’ll be treated to true Southern hospitality and premier accommodations. Dine in style at our four on-site restaurants. You’ll relish our central location in the midst of all there is to see and do in Nashville. Explore the history of country music, catch live performances and take in all the sights and sounds of the entertainment district, all near our Nashville hotel. Experience the style, sound and Southern hospitality of Tennessee when you stay at the Cambria® Hotel Nashville Downtown. We’re steps away from iconic venues, museums and more. Enjoy friendly, professional service at our upscale hotel near Bridgestone Arena. 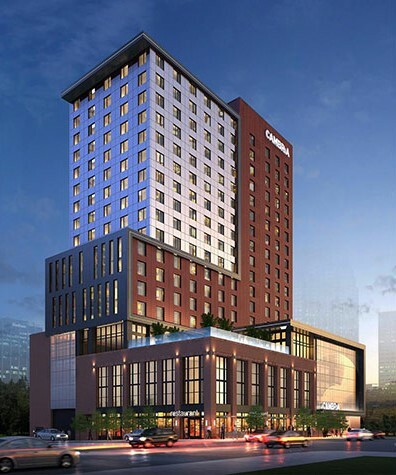 Discover Tru twang in the heart of downtown Nashville at our newly built Tru by Hilton Nashville Downtown Convention Center, TN hotel. Enjoy the ease of walking to attractions like the Music City Center, Country Music Hall of Fame, and Bridgestone Arena. 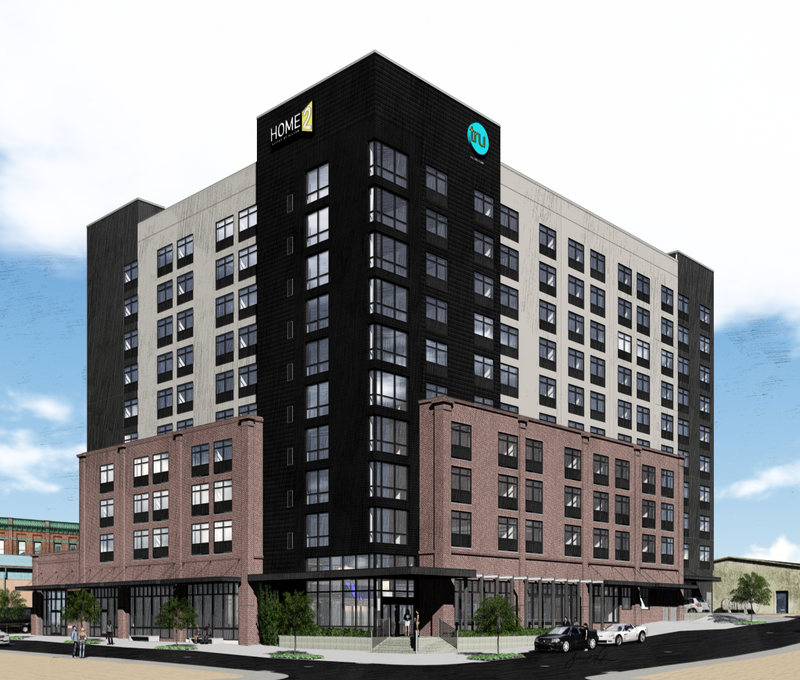 Experience the finest southern hospitality at the new Home2 Suites by Hilton Nashville Downtown Convention Center, located in the heart of Downtown Nashville’s Sobro District and just 16 minutes from the Nashville International Airport. Our ideal location makes exploring the city a breeze: only minutes from the Music City Convention Center, Bridgestone Arena, Nissan Stadium and within walking distance to multiple restaurants and shops. Please make your reservation with the link provided or by calling the hotel directly. You may report any unauthorized solicitation to jenn@wjinc.net. Need a little guidance? We’ll help you create your own playlist for an unforgettable experience in Music City – Nashville, TN.